Testifying before the House Financial Services Committee today, ABA banker Brenda Hughes outlined ABA’s principles for GSE reform, highlighting the necessity of legislative action to ensure that lenders of all sizes across the country can continue meeting the needs of mortgage borrowers. Testifying before the House Financial Services Committee today, ABA banker Brenda Hughes outlined ABA’s principles for GSE reform, highlighting the necessity of legislative action to ensure that lenders of all sizes across the country can continue meeting the needs of mortgage borrowers. Hughes is SVP and director of mortgage and retail lending for First Federal Savings of Twin Falls, Idaho. 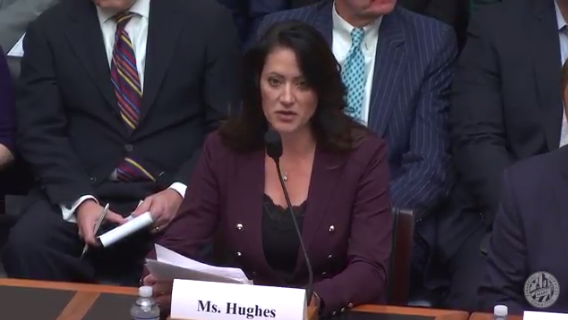 As Congress moves forward with housing reform, Hughes stressed that the GSEs should: be confined to a secondary market role; agree to support all segments of the primary market; carry an explicit, fully-priced and fully transparent guarantee from the federal government for all mortgage-backed securities; be capitalized appropriately; and have sound and fair underwriting standards. Additionally, any reforms need to preserve the “To Be Announced” market, consider and protect the vital role played by the Federal Home Loan Banks, allow credit risk transfers required by FHFA to be continued and expanded, and require any affordable housing efforts undertaken by the GSEs to be delivered through and driven by the primary market.